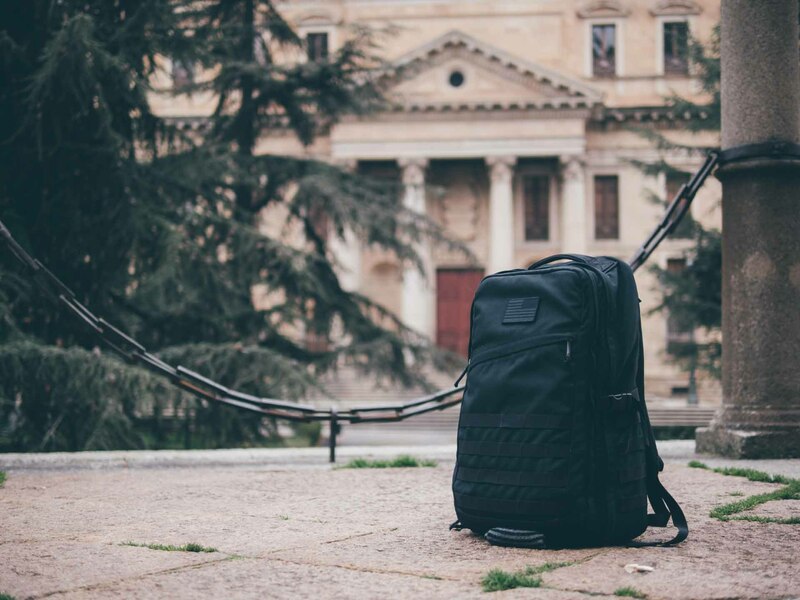 With its understated appearance, plenty of features and built to withstand extreme abuse, the GORUCK GR2 will take you to the end of the world — and back. It’s the ultimate travel bag. Human beings are curious by nature. We strive to know. To find answers to the most fundamental questions. Who are we? Why are we here? Where do we fit in? This profound need to understand our place in the world is often behind the most incredible human achievements. Our fascination with the unknown does not stop at our front door though, because we’re also explorers. 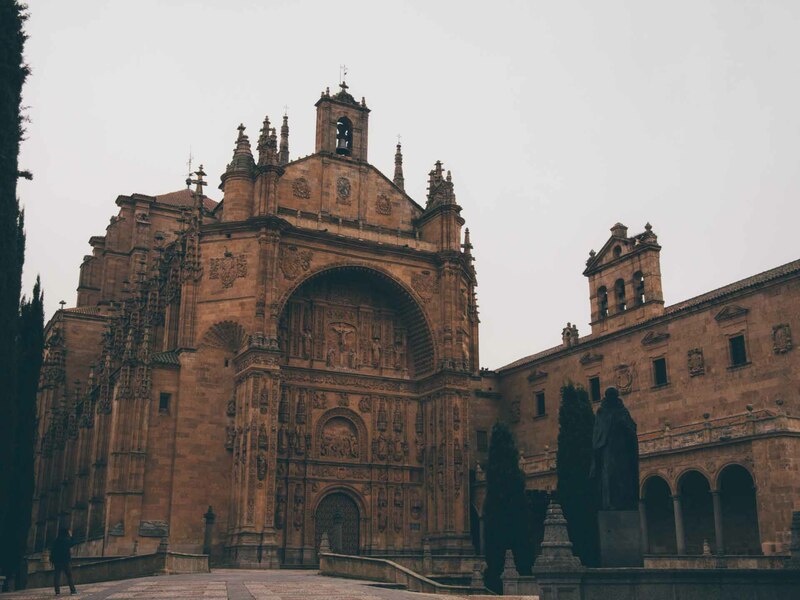 Traveling is how we learn more about the world and in turn, about ourselves. It’s how we pull the signal from the noise, how we find meaning amidst the chaos. 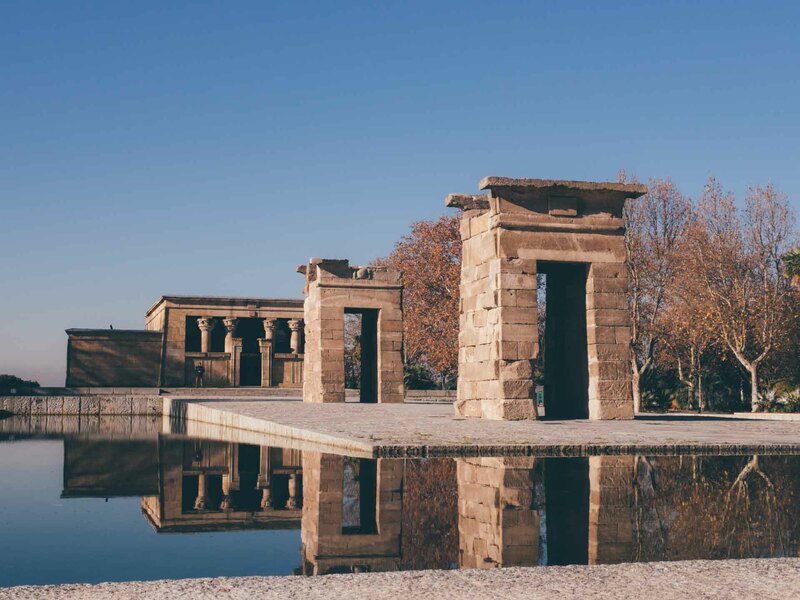 In travel, our innate curiosity and fondness for exploration work seamlessly together, creating a powerful drive that has pushed us to the far corners of our planet and beyond in just a few centuries — and there’s no stopping us now. Traveling, though, requires a certain state of mind. 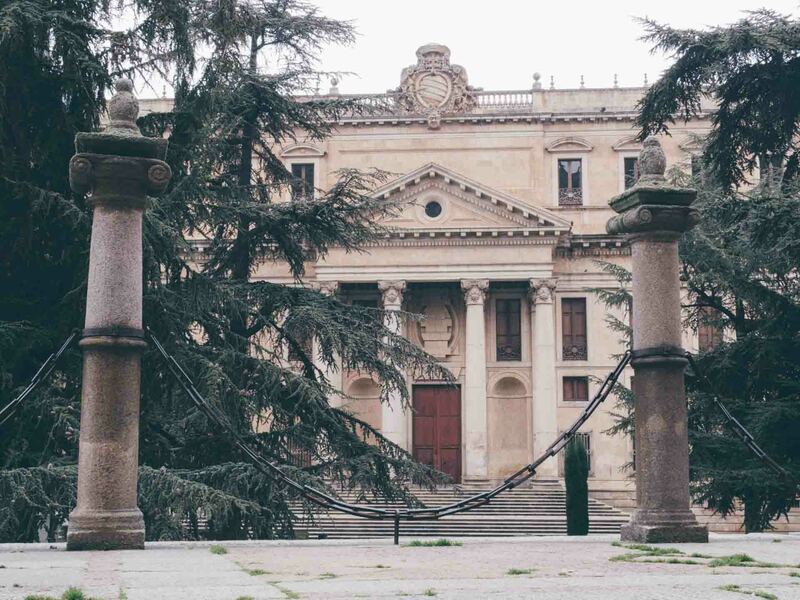 If asked, most well-traveled people will say that no matter the amount of planning one does ahead of a trip, there will always be surprises along the way. Some of them may be delightful, and some may be unsavory, but if we’re to embark upon a journey, we must be willing to meet them both without prejudice. For the traveler knows her fortunes may change at any moment, and so she lives in the present. The traveler also knows that half the battle is being ready, and she is. For anything. Being ready is not a matter of gear, mind you, but a matter of will. 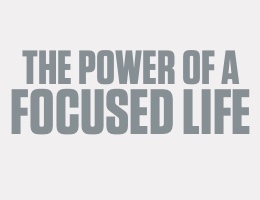 The will to make the most of any situation without letting it dampen your spirits. To push through the bad times and meet each new day with untarnished hope. That being said, having quality gear does help tremendously, and the savvy traveler knows that, too. The promise of quality gear is not one of specs and features, but of peace of mind. It’s the assurance that your gear will keep up with you no matter how hard you push. The freedom to test your limits, all the while knowing you are in control. When you’re out there exploring, second-guessing your gear should be the last thing on your mind. 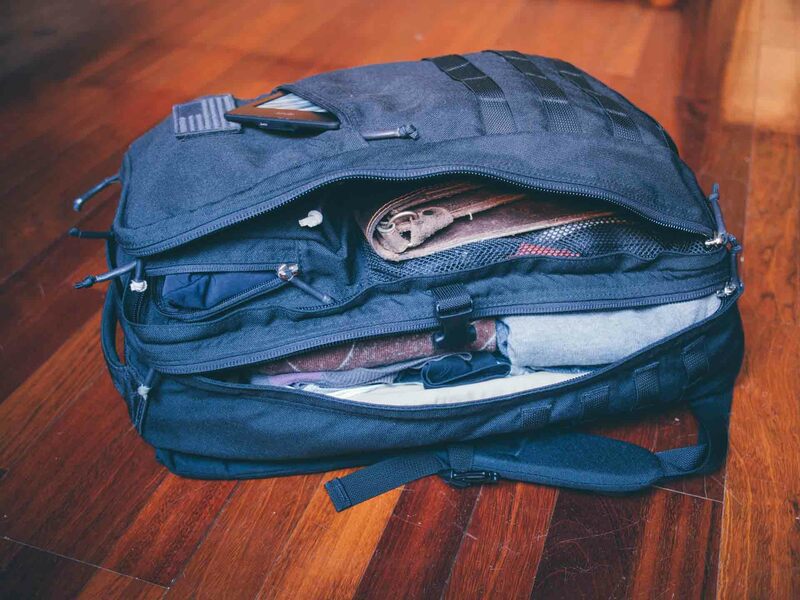 That’s the promise GORUCK gear lives up to every day. Jason McCarthy, GORUCK’s founder, joined the US Army after 9/11 and served with the Special Forces Group, also known as Green Berets. 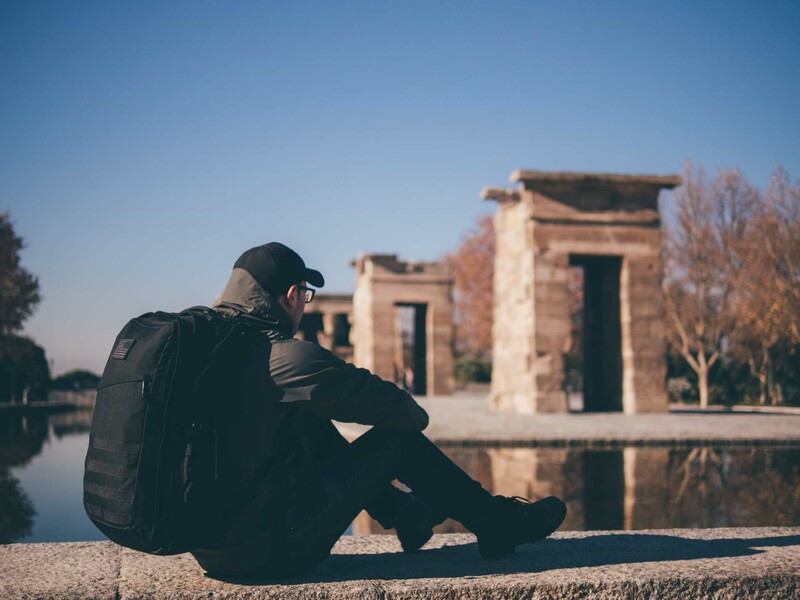 GORUCK is Jason’s way to apply some of the lessons he learned in that community to the civilian world. But it’s also way more than that. 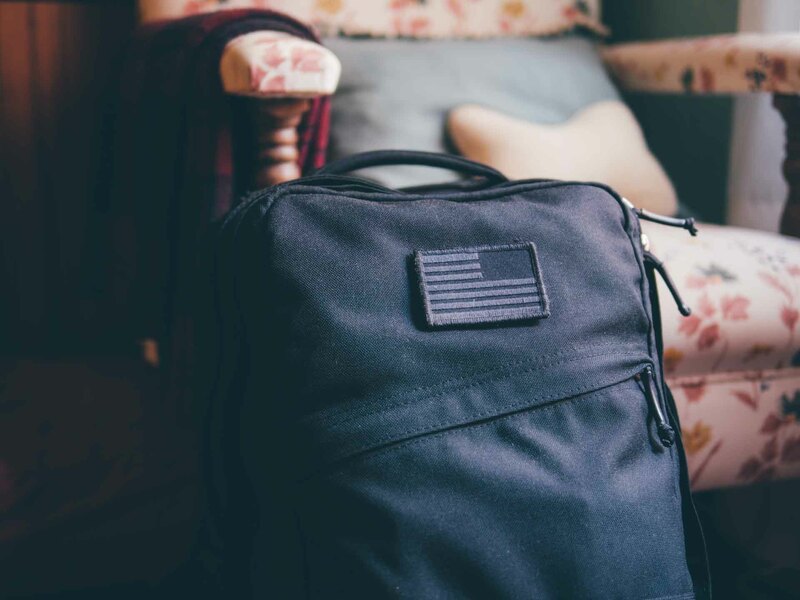 GORUCK stands as a symbol of American excellence and as such, manufactures everything they sell in America using highly-skilled American workers. Their backpacks — or, as they prefer to call them, rucks — are built to the highest standards of quality using only military-grade materials. To further prove their point, GORUCK stands behind all their rucks with their Scars Lifetime Guarantee. 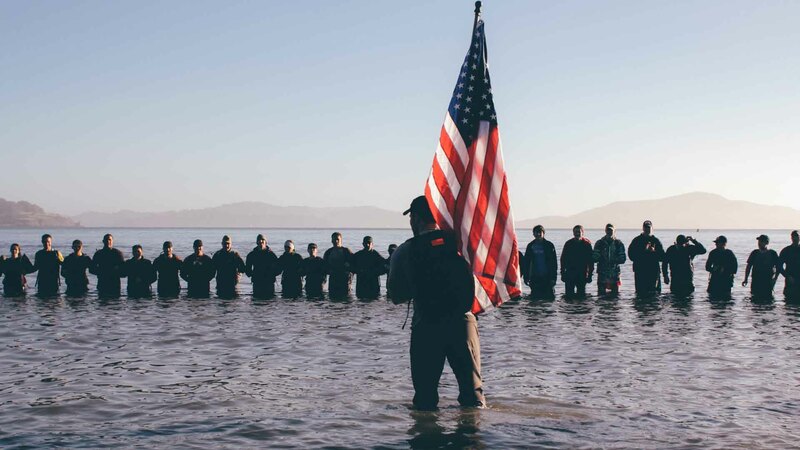 In just a few years, GORUCK has become a global community with a passion for excellence, teamwork and camaraderie as a way of life, and their rucks are the perfect embodiment of those values. 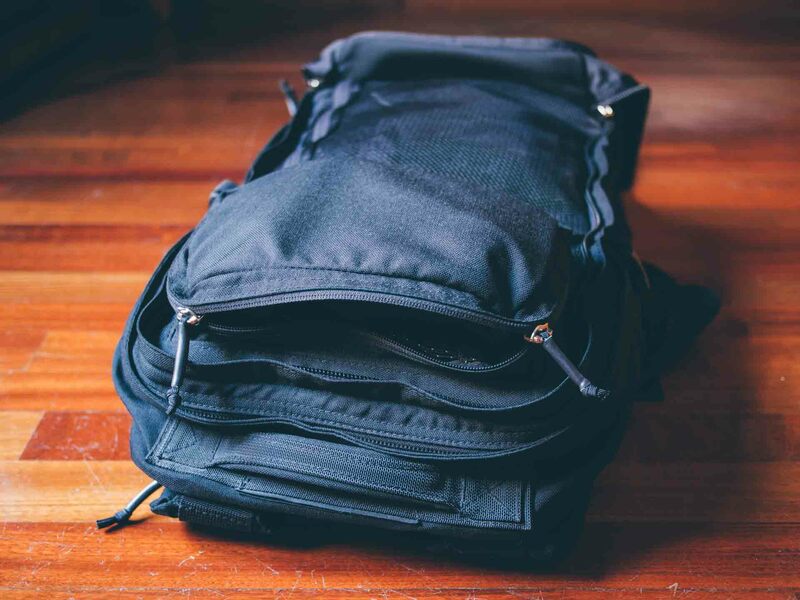 There are currently four Original Rucks in GORUCK’s lineup, and they come in a variety of colors, including Wolf Grey, Java Brown, Ranger Green and of course, their signature black. They’re all built to the same ridiculously high standards, it’s only a matter of choosing the size that suits your needs best. 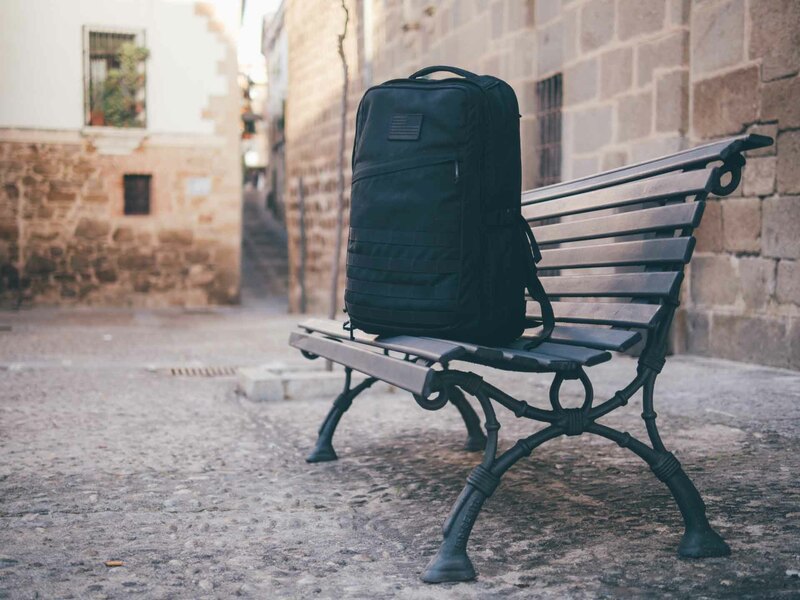 The smallest of the bunch is the GR Echo, a slim daypack that thrives in the city. The GR0 and GR1 are their all-around rucks and they’re exactly proportionate in size (with a rough guideline being, if you’re under 6 ft tall, go for the GR0). Finally, the GR2 is, simply put, the ultimate travel companion. 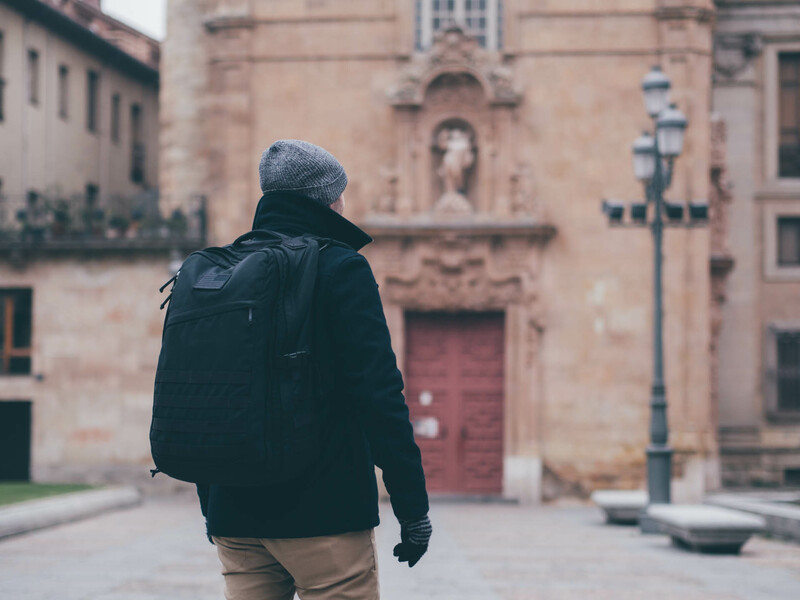 Part of what makes the GR2 such an excellent travel bag is the fact that it’s remarkably comfortable to carry over extended periods of time. 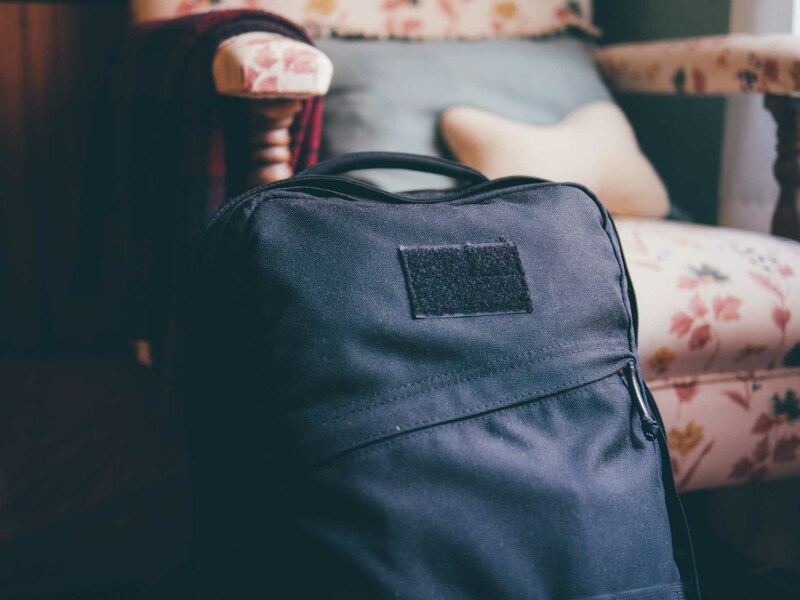 All GORUCK rucks — and the GR2 is no exception — are designed to be worn high on the wearer’s back, with the straps pulled tight. This ensures a greater distribution of weight over the shoulders and upper back, which increases overall stability and comfort, particularly when moving around. This is by no means an accident. 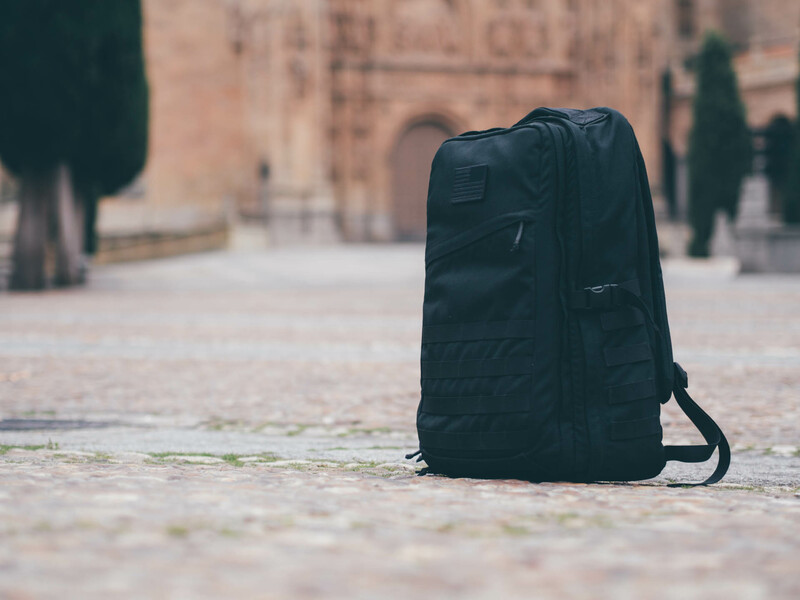 The GR2’s excellent design was refined over a period of years by the obsessively perfectionist GORUCK designers using the most advanced prototyping tool at their disposal: The GORUCK Challenge. In the Challenge, a group of 20 or more people work as a team to put brick-laden GORUCK rucks through hell for about 15-20 miles and 8-10 hours. 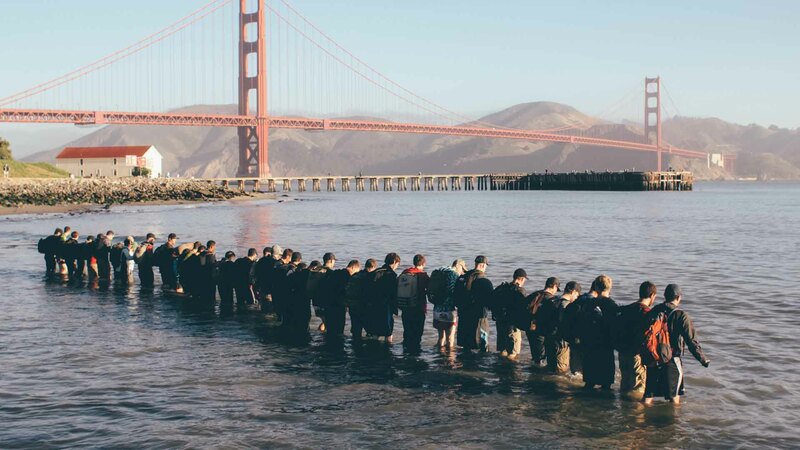 This team-building effort has become a longstanding tradition, with those who successfully complete the Challenge earning the much-coveted GORUCK Tough patch — a badge of honor in the GORUCK community that will never be for sale. 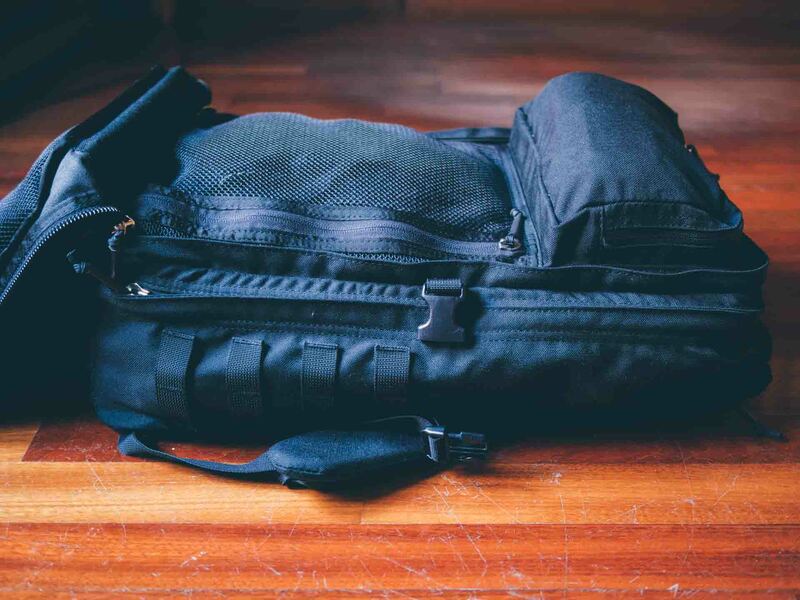 It also means every GORUCK product is thoroughly field-tested ahead of release, so any minor annoyances in the design are very likely to be spotted and fixed long before the product hits the market. 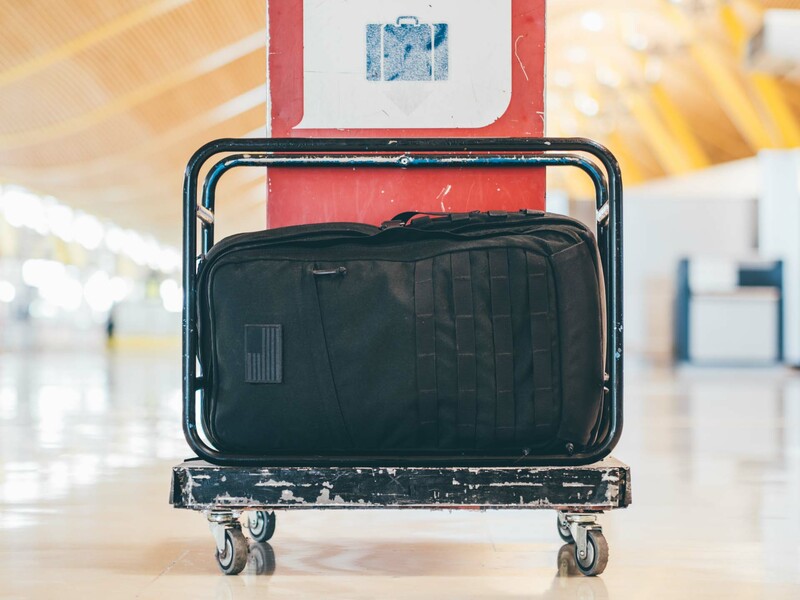 Another reason GORUCK rucks are excellent as travel bags is their understated appearance — especially the original black rucks. They won’t draw any attention towards the wearer, no matter the situation or the place. This is a useful feature anywhere, but even more so when you’re on a foreign country and want to be as discreet as possible. In these situations, GORUCK rucks excel. In practice, these bags are extremely well-designed, well-tested, highly functional products. These are all greatly desirable qualities in a travel bag. 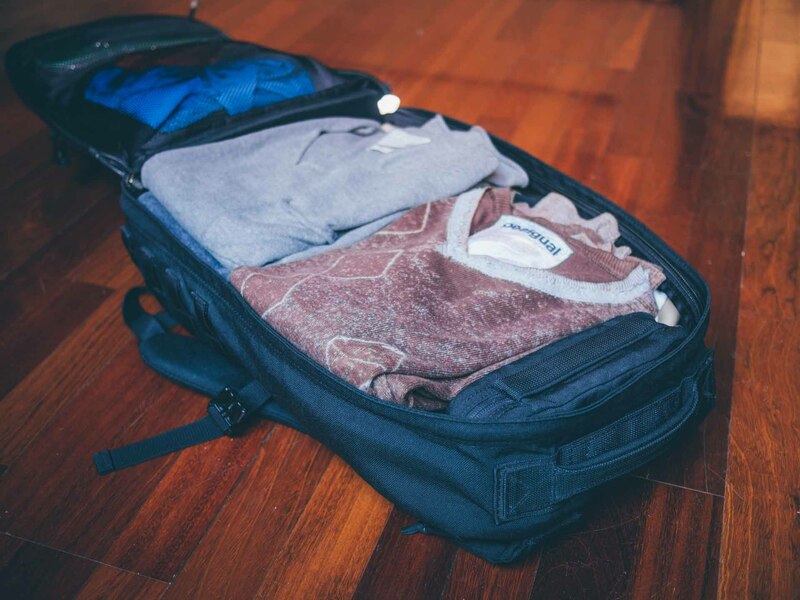 Traveling light has many benefits and is an increasingly popular choice, especially among frequent travelers. 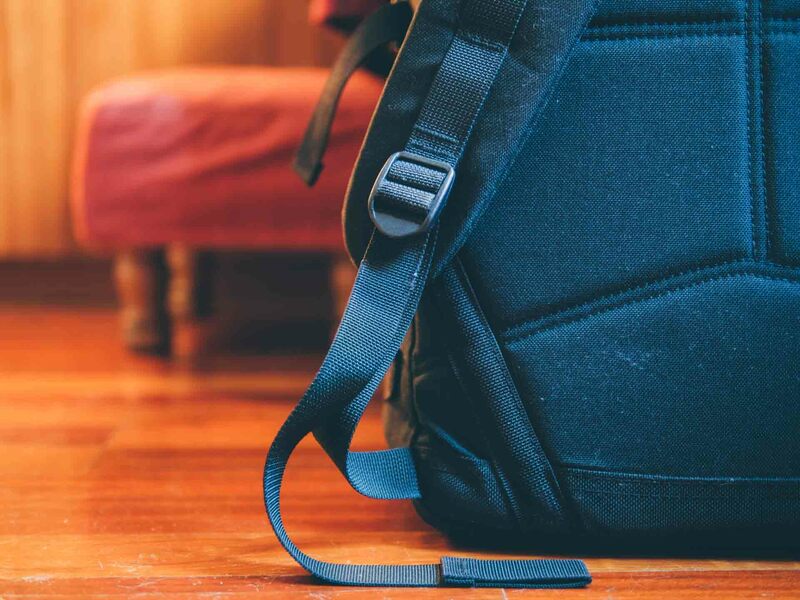 It’s easy to understand why: carrying everything on you greatly reduces the risk of having your trip ruined due to a lost or stolen bag, for example. 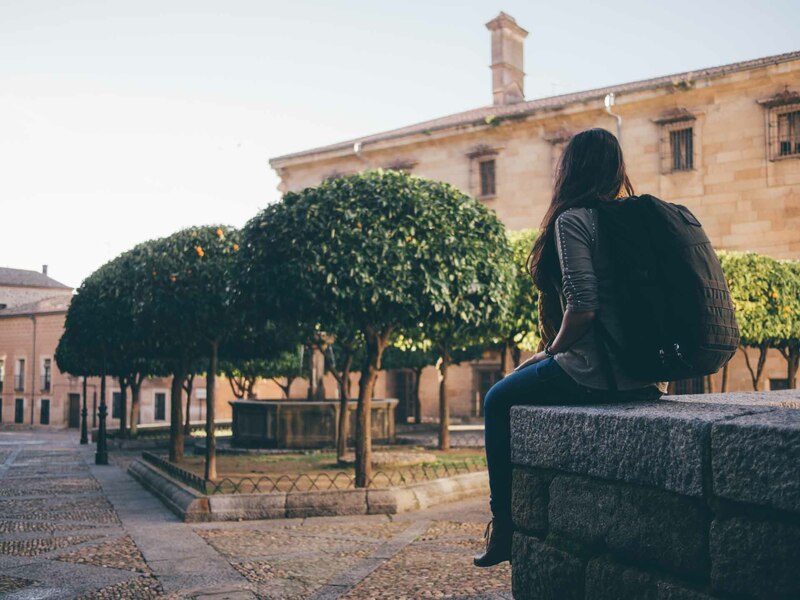 It’s also a much more involved way of traveling, and requires some conscious effort to be done right, but the tradeoffs are easily worth it. 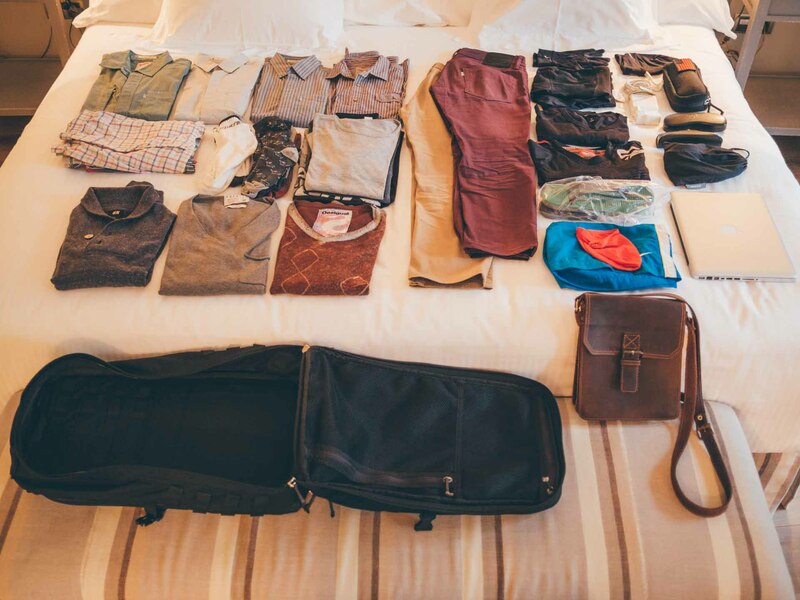 Indeed, if we accept the simple penalty of doing laundry about once a week — which is not at all unreasonable — there’s no practical difference between packing a bag for a week, a month, or a full season. It is entirely possible to live indefinitely out of one reasonably-sized bag without giving up much comfort in the process. The GR2 is just about the perfect size for this purpose. With its 40-liter capacity, there’s plenty of room to pack clothes and gear for a week, regardless of weather conditions. 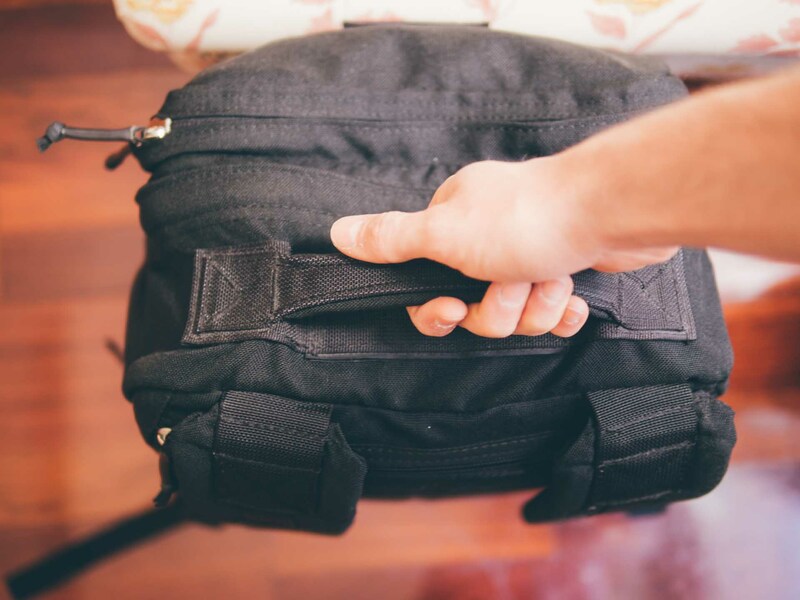 Moreover, the GR2 is TSA carry-on compliant, and you’ll be able to take it with you on the plane anywhere you fly, both domestically and internationally. 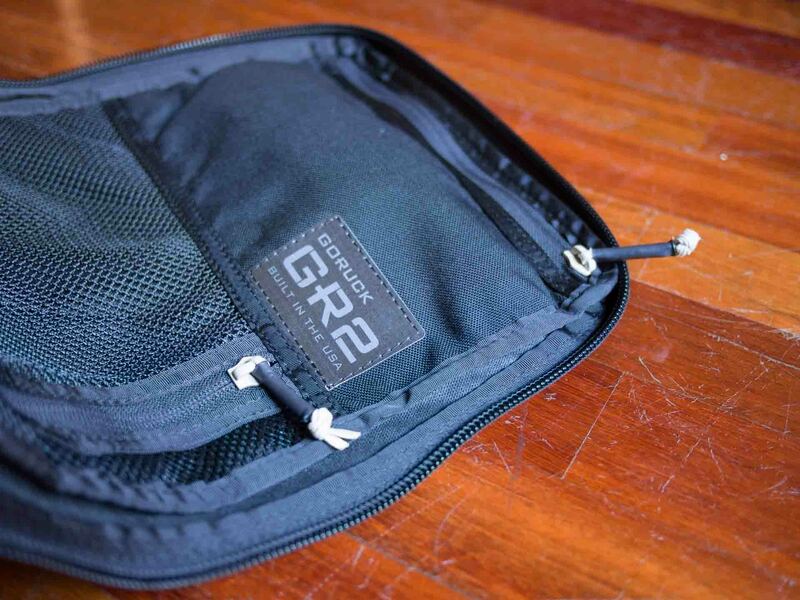 A word of caution, though: the GR2 itself is a hefty bag, weighing in at 5.3 lbs (2.4 kg) when empty. 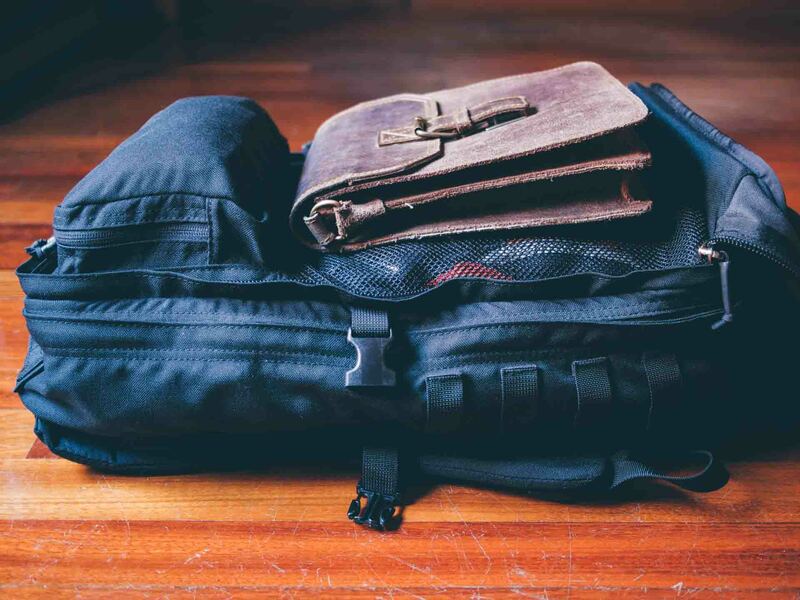 On top of the volume restriction, some of the more strict airlines also have a maximum weight allowance for carry-on baggage, and it’s sometimes easy to go over this limit with a fully-loaded GR2. Remember to always check with your airline to make sure you’re on the safe side. 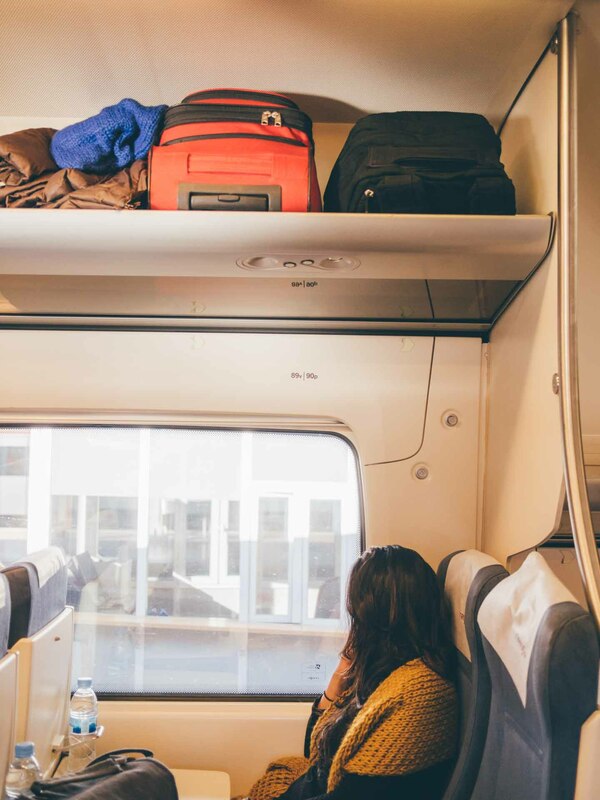 The bag will also fit nicely in the overhead storage space available in most long-distance trains. This way you can always keep an eye on it. 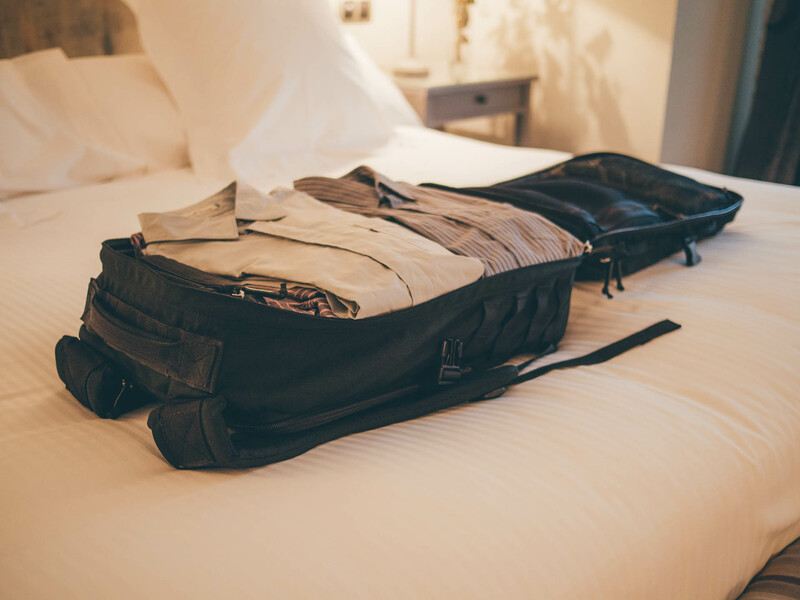 Never having to worry about checked baggage has some huge benefits: no more waiting in line at the airport, and no more wondering if your bag will make it safely to your destination, for instance. Having all your gear with you during the flight is always reassuring as well, in case you need to get the occasional item out of the bag. But the best part by far is when you land on your destination and you can immediately dart off the airport and get on with your trip, instead of having to endure a couple extra hours of waiting for your bag to be retrieved from the plane. That’s the precise moment when all the planning pays off, and it’s awesome. 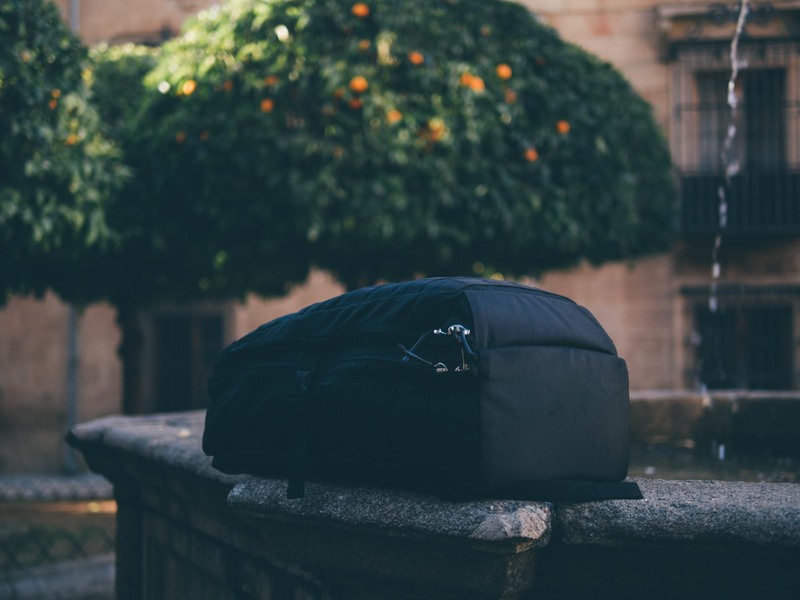 The GR2 shares most of its features with the rest of the GORUCK rucks, and with good reason: they’re all good-looking, understated bags that blend in anywhere in the world without calling too much attention to the wearer, which is ideal. The GR2 is a good-looking, understated bag. It’s not all about good looks though; there’s plenty of substance here, too. All materials used in the bags are military-grade, which goes a long way to explaining why they’re so tough. The main structure is made out of 1000 Denier Cordura, a highly durable, highly water-resistant material with exceptional strength-to-weight ratio. 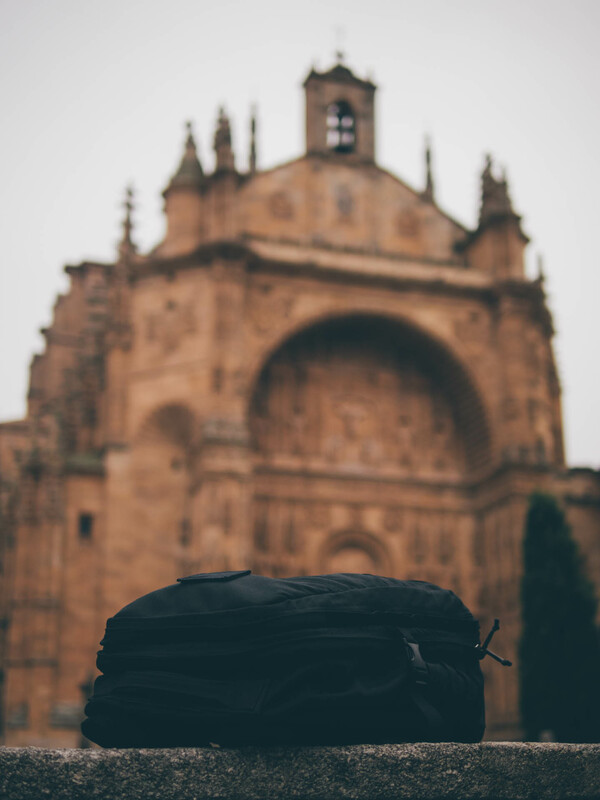 Strictly speaking, GORUCK bags are not technically waterproof, but they’re highly water resistant. What this means is that, while it probably wouldn’t be a good idea to submerge the bag in the ocean, you can safely walk with it in the rain — even in the topical rainforests of Brazil — without worrying about its contents. 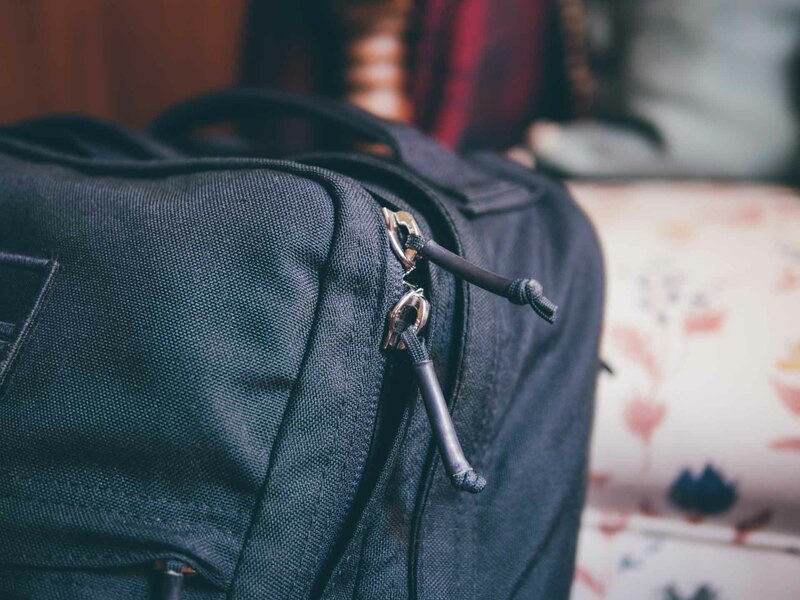 GORUCK only uses YKK zippers — also made in the USA — in all of their products. 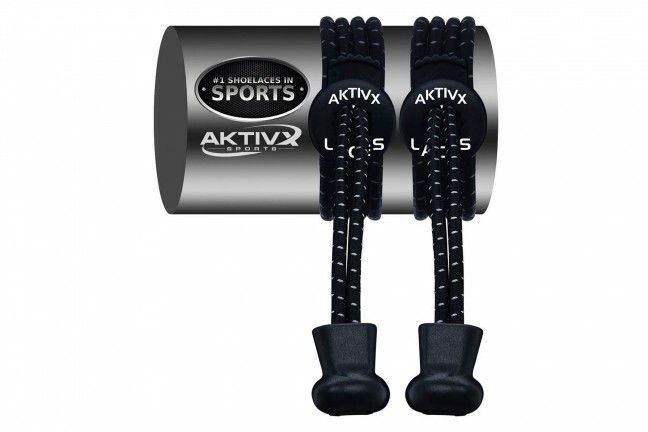 These are incredibly tough and perform well under the most demanding conditions. 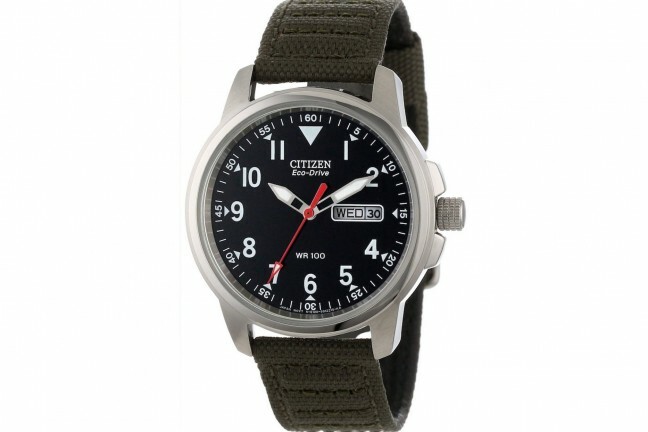 The zipper pulls are made out of 550 parachute cord, and they’re completely silent. GORUCK only uses YKK zippers made in the USA. And military-grade, highly water-resistant materials are the core foundation of the GR2. 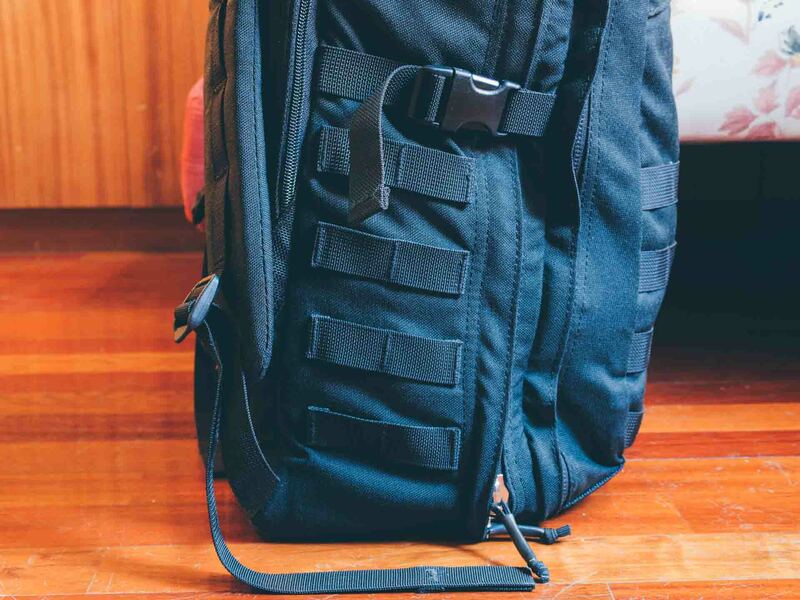 The front of the GR2 features a 2×3-inch piece of Velcro, and whatever patch you choose to attach to it is the only exterior branding you’ll see on the ruck. GORUCK sells a wide range of different patches, but there are a few of them you’ll never be able to buy: the Light, Tough, and Selection patches — among others — are only awarded to those who pass the corresponding events. Luckily, there are plenty of other patches to find in GORUCK’s online store, so if you’re really not that into physical punishment, they’ve got you covered. A 2×3-inch velcro patch provides some customization options. 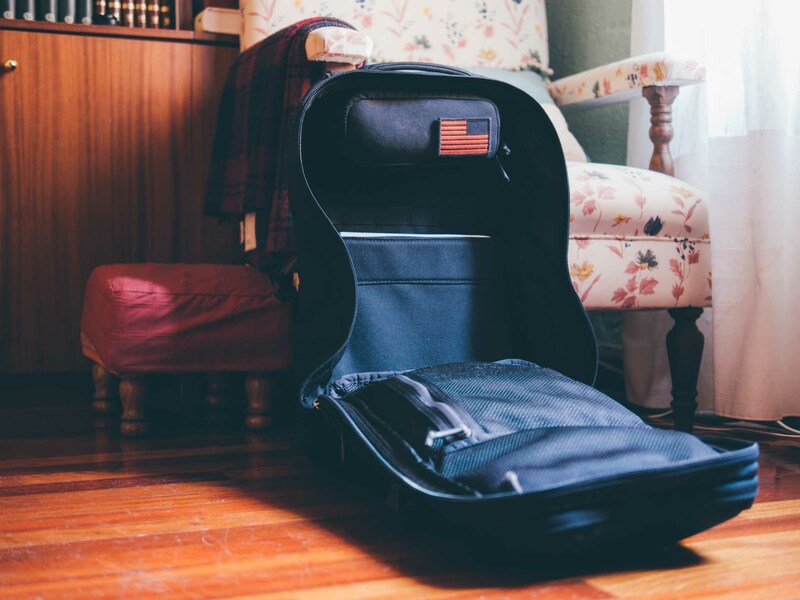 The inverted US flag is a common theme in GORUCK’s products. It depicts the way the flag would reverse against the wind when carried forward by a soldier in combat, and it’s instantly recognizable to anyone with ties to the US Army. 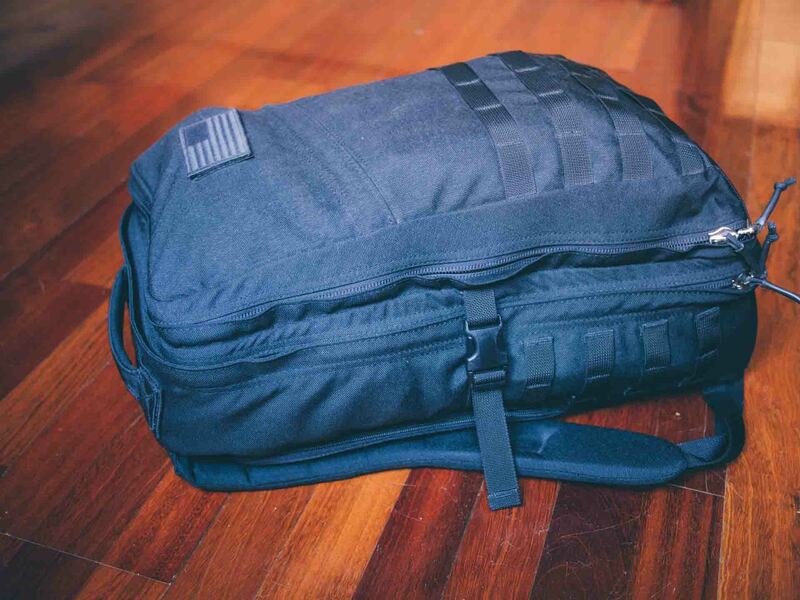 The front of the bag also features four rows of MOLLE webbing at the bottom, a system originally developed by the military, designed to reliably and securely attach small accessories like GORUCK’s own Field Pockets. 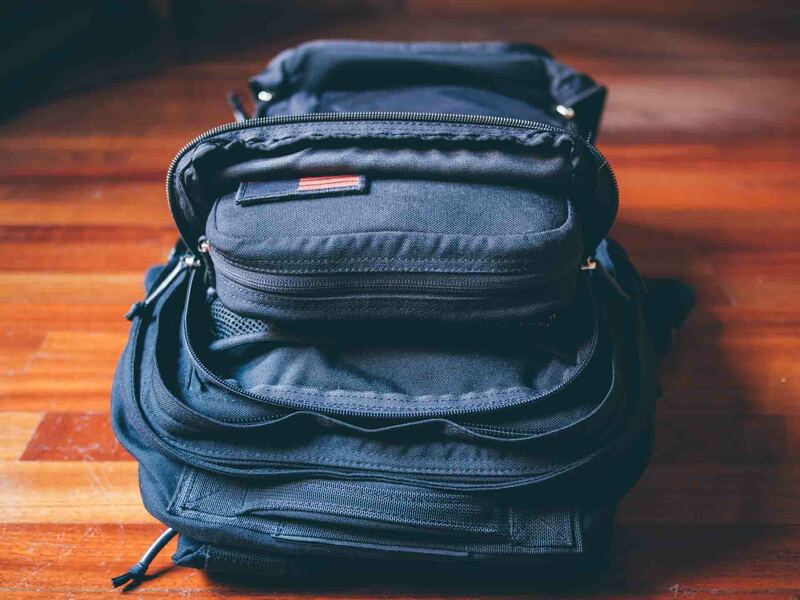 These pouches provide an excellent way to segregate a few items from the rest, and are particularly useful as a dopp kit, or to fit small electronic devices like hard drives, cameras, lenses, etc. Alternatively, the MOLLE webbing can be used on its own to attach small items such as a compass, pocket knife, carabiner, keys, and the like. Other than that, there’s a slant pocket in the front, which is designed to provide quick access to small items like your wallet, your keys, or your cell phone. It’s big enough to accommodate a kindle reading device, but it’s so tight that it gets a bit uncomfortable to access when the bag is full. Both sides of the GR2 feature another four rows of MOLLE webbing at the bottom, and compression buckles with straps to minimize the volume occupied by the main compartment. These are very useful when the bag is not fully loaded, as they can force it to maintain a slimmer profile and keep its contents from moving around. They can also be used to secure a sleeping bag, a yoga mat, a camera tripod, etc. 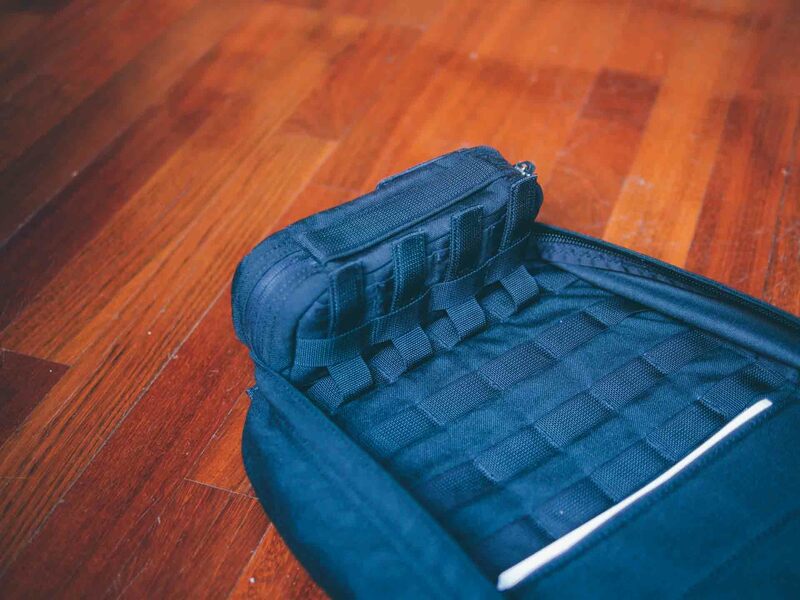 The back panel of the GR2 is heavily padded, and houses the laptop compartment. It includes a hard plastic frame sheet to provide additional structural rigidity and to better balance the load against the wearer’s back. This compartment is big enough to hold any laptop or a hydration bladder. For obvious reasons, it’s not advisable to carry both a laptop and a hydration bladder at the same time. The shoulder straps are also heavily padded, and wide enough to provide ample cushioning. They feature a vertical strand of MOLLE webbing along their full length, which can be used to attach a sternum strap if you so desire. In practice though, this really isn’t necessary. A more practical use would be to attach the hose of the hydration bladder to keep it from swinging around. 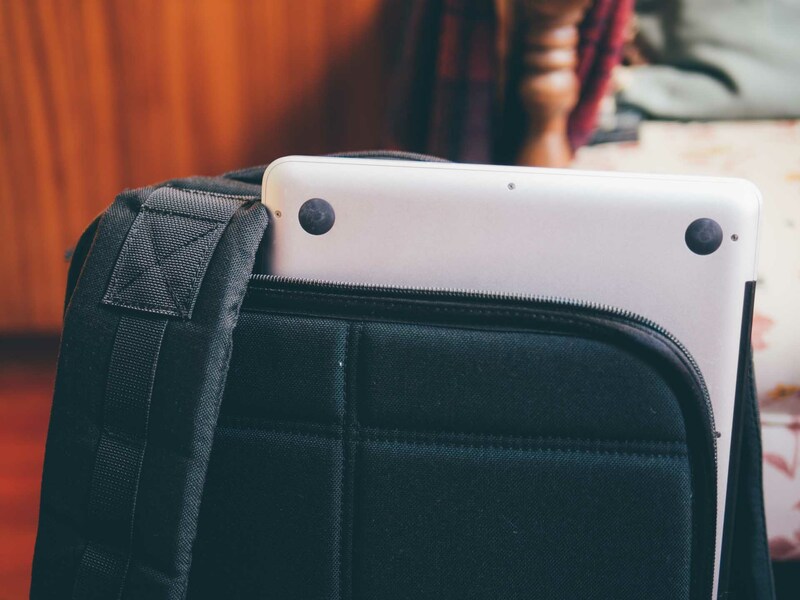 The most convenient way to access the laptop compartment is to pull the shoulder straps aside, revealing the entire run of the zipper. This allows for easier manipulation when getting the laptop — or the hydration bladder — in and out of the bag. The handle at the top of the ruck is well-padded, but due to the size and weight of the GR2 you’re less likely to carry it around like that. 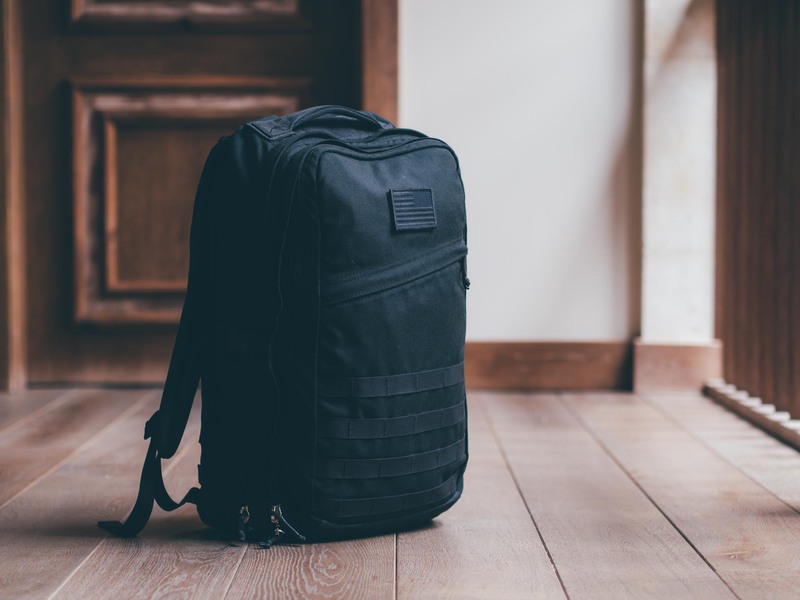 Instead, it provides an excellent way to maneuver the ruck when setting it on the ground or on a table, or when accessing the laptop compartment. Nevertheless, the handle — like all other pressure points in the bag — is strength-tested to withstand at least 400 lbs, so there’s no need to be gentle when handling it. The handle is padded and useful to maneuver the bag around. And it’s stress tested to withstand more than 400 pounds. Finally, the bottom of the bag is made out of Ballistic Cordura, which provides even higher abrasion resistance. 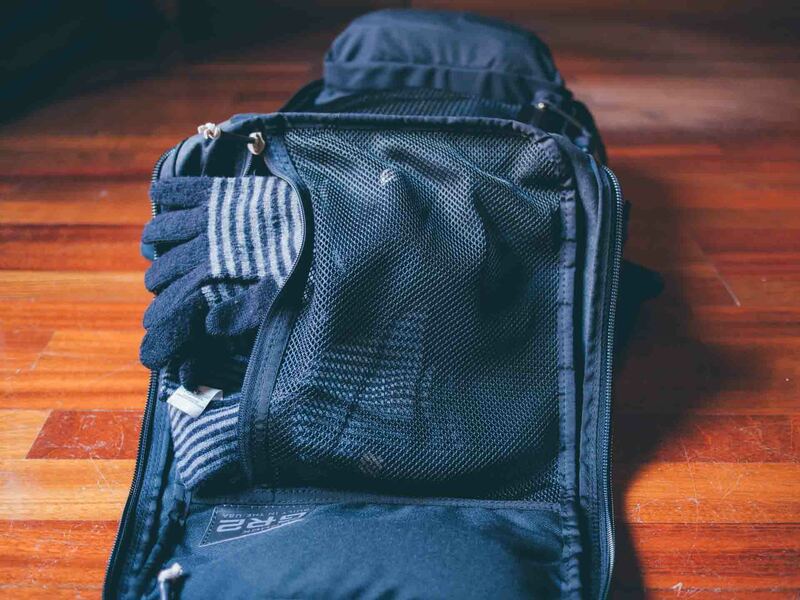 The GR2’s organizational features are more than enough to meet any traveler’s needs. In addition to the aforementioned laptop compartment and front slant pocket, the GR2 features two main compartments that open completely flat to grant quick and easy access to their interior. This is a very useful feature when trying to find a particular item inside the bag without disturbing the rest of its contents. The first main compartment is the biggest one, and is where the bulk of your clothing should go: trousers, jeans, t-shirts, sweaters and so on will fit perfectly here, and will stay organized no matter how much you move. Like the front of the bag, this compartment features four rows of MOLLE webbing to provide additional customization. Both main compartments open flat. This is the Main compartment which features MOLLE webbing. 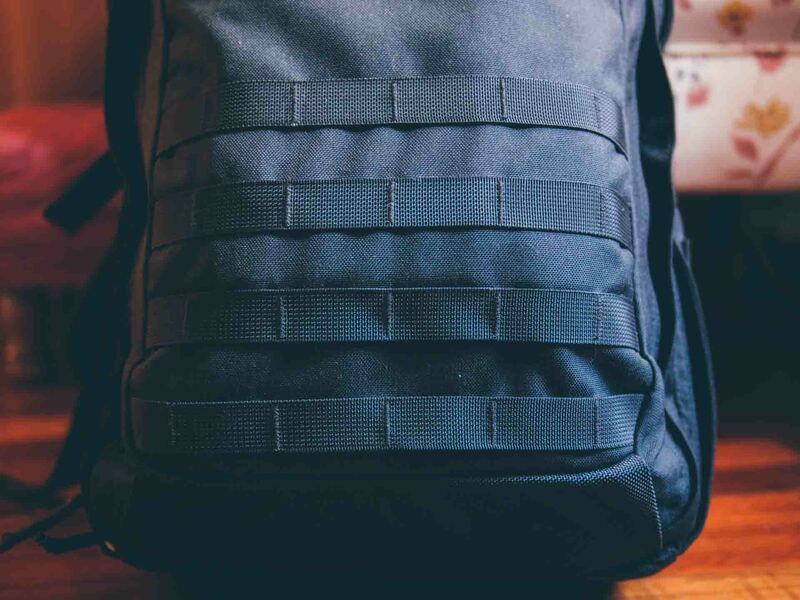 The MOLLE webbing has been designed to accommodate the GORUCK Field Pockets, and creates a secure fit that will stay in place even when the bag is empty and vertical. 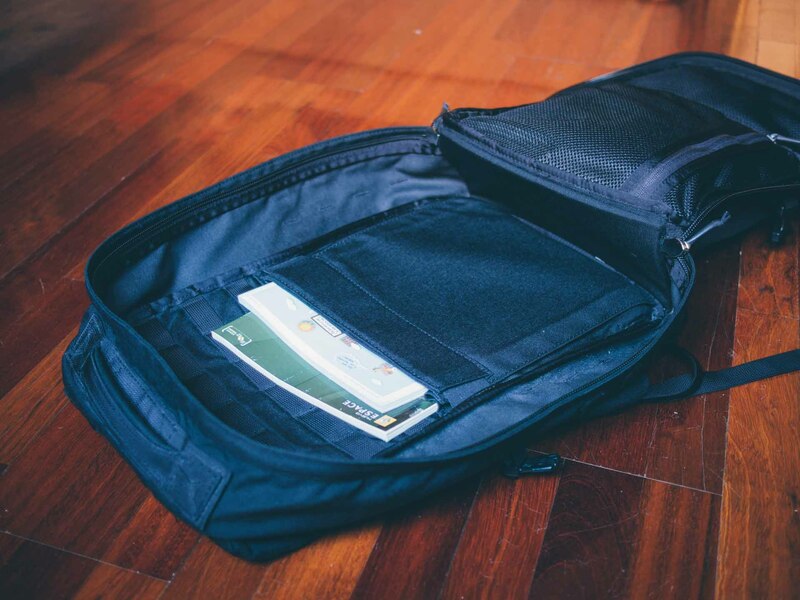 There’s also a Cordura sleeve with an elastic band closure inside the main compartment, which is ideal to carry an iPad, a notebook, or a couple magazines. The flap cover of the main compartment includes two mesh pockets with foliage-green zipper pulls, which offer even more room for organization. These are especially well suited to keep items that should be segregated from the rest, like swimming gear, flip-flops, dirty laundry, etc. The zipper pulls of the two main compartments are color-coded to help visually identify each section. This nice design touch makes it easier to remember where each item is stored. When a GR2 is fully loaded, there’s quite a lot of stuff in there, and small aids like this one are important. The second main compartment, slightly shallower than the first, has a nice feature that greatly increases the GR2’s versatility: a full Cordura pocket with a black zipper pull in the upper region. This pocket has internal mesh dividers and provides an excellent spot for storing items such as chargers and cables. It’s quite deep and readily accessible from the top of the ruck, which makes it ideal for storing items you may want to keep handy at all times. Another great way to use this pocket is to combine it with a Field Pocket and use it as an improvised camera bag. 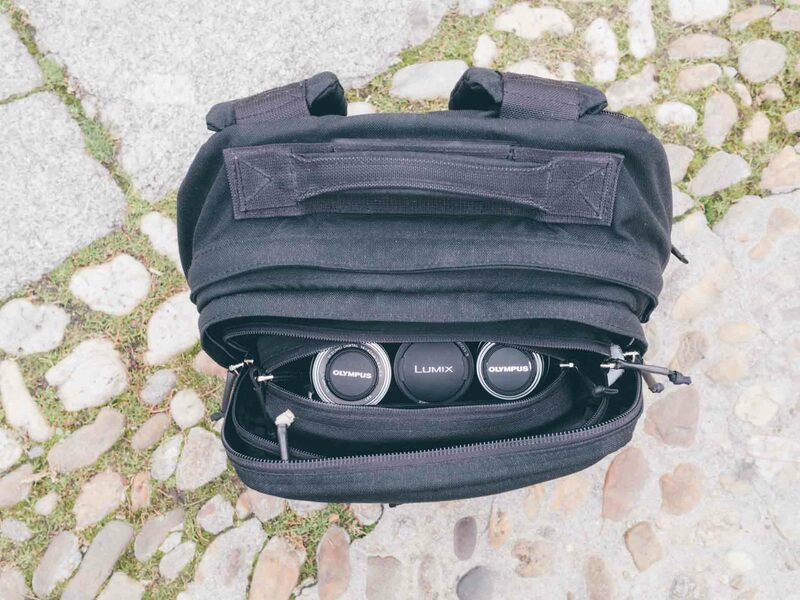 It’s the perfect place to carry a few extra lenses, filters and adapters in a way that is secure and easy to get to. Below the full Cordura pocket, the second compartment includes another mesh pocket with black zipper pulls. This is roughly the same size as the one in the first main compartment. The flap cover of this compartment includes another full Cordura pocket with a coyote-tan zipper pull and a patch with the GR2 logo. This is the only branding the GR2 has, and it’s neatly tucked inside the ruck, so only you’ll know it’s even there. It really doesn’t get any more discreet than that. Finally, there is yet another mesh pocket — also with coyote-tan zipper pulls and also roughly the same size as the others. 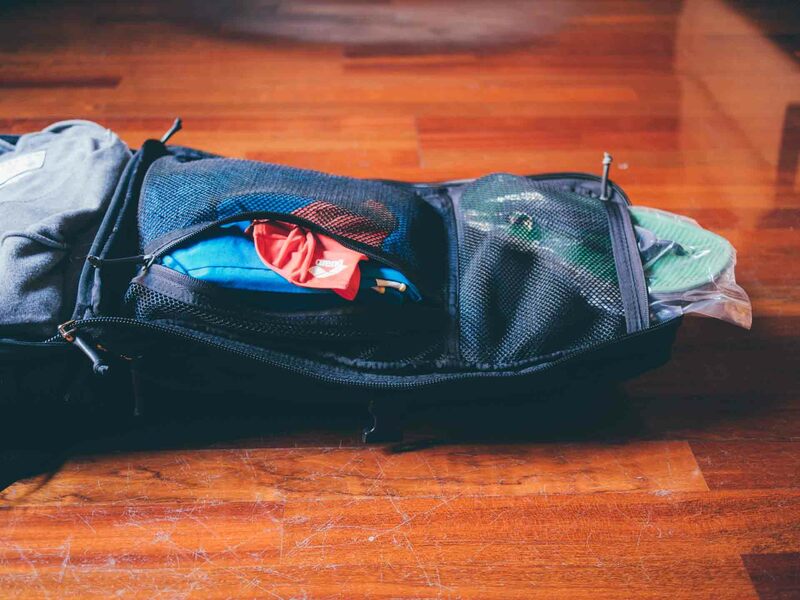 Even with all of its pockets fully loaded, the second main compartment still has enough room left to hold a rain jacket, or even a smaller bag to be used as a daypack. 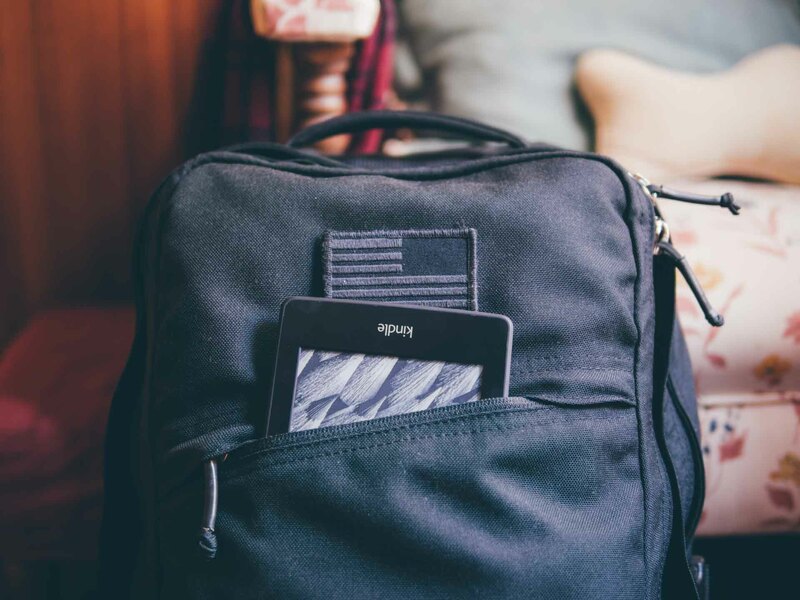 With so many pockets and its generous size, the GR2 is able to hold a substantial load. With just a bit of planning and the right strategy, it’s the only bag you’ll ever need to carry. 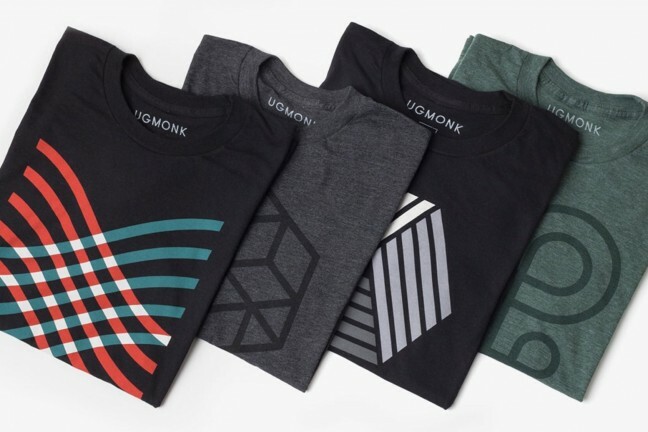 All these features make the GR2’s design a robust one. But it’s the little details that elevate it to the category of a truly delightful product. There are several of these small touches spread throughout the ruck, such as the color-coded zipper pulls, or the small webbing loop at the end of the straps, to make them easier to pull when wearing gloves or with cold fingers. Or the high-quality buckles, which were tested together with the webbing straps in order to ensure a consistent pull, without offering too much or too little friction. The high-quality buckles were tested together with the webbing straps to ensure a consistent pull. And the the webbing straps end in a loop to make them easier to pull. These delightful touches — and many more — are the result of thousands of hours spent “field testing” the GR2 in GORUCK events, and it shows. In the end, this is an amazing backpack which is every bit as functional as it is tough, and every bit as good-looking as it is understated. 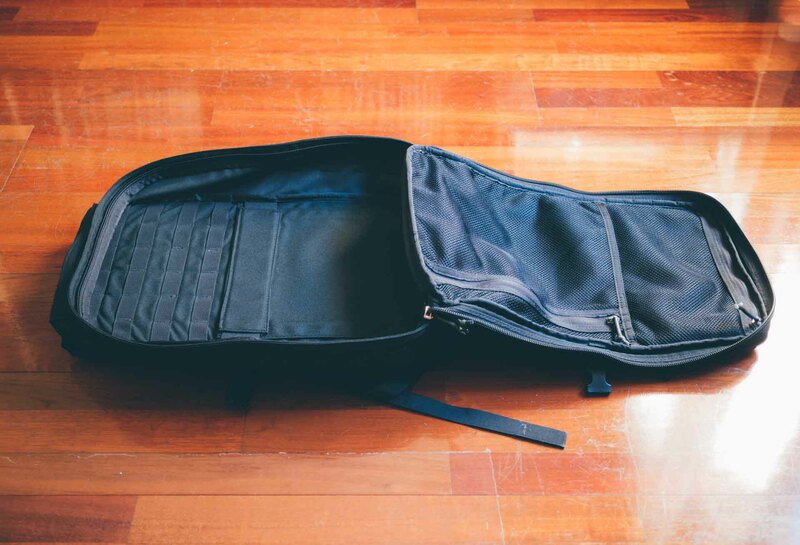 A really incredible travel bag, and quite possibly the last one you’ll ever buy. For as long as we’re around, human beings will continue to travel the world. Some will do it in search of answers, some for leisure or work, and some will do it because it’s the only way their lives seem to make sense. For all its difficulties and annoyances — our ancestors fought the elements in much the same way we fight the TSA — traveling will always be special. There’s a certain sense of pride in reaching a destination for the first time, like the explorers of old. It’s a call to our spirit of discovery and wonder. A gentle reminder that there’s plenty about the world we still don’t know or understand. Travel is one of the defining traits of our species, and there’s no reason to stop now. 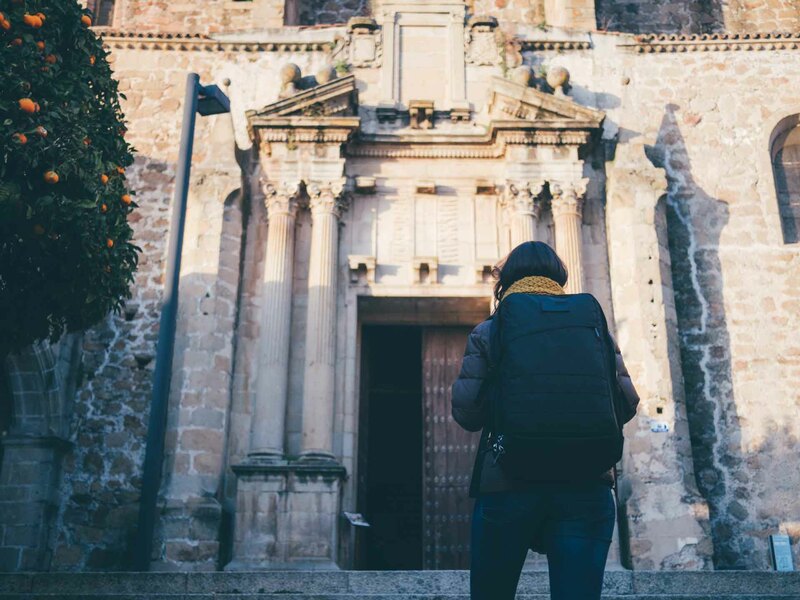 It’s never been as easy, as affordable or as safe to travel as it is today, but it still requires — it will always require — the right preparation, the right mindset and yes, the right gear. 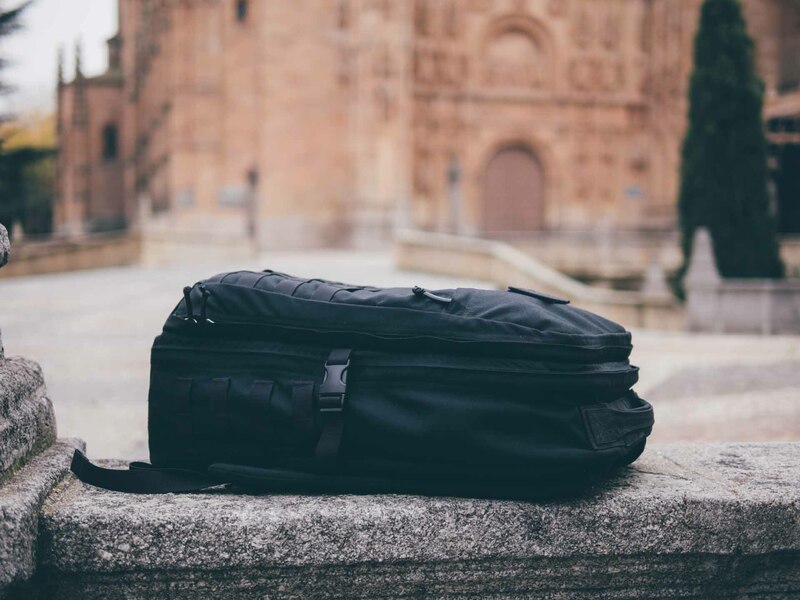 A travel bag you can rely on when things go bad is an incredible asset to have, and the GORUCK GR2 offers that in spades. Be it in the Brazilian jungle, the Australian outback or the Manhattan subway, this bag can do it all — and then some. It will effortlessly keep up with you no matter where you’re going — or how fast you want to get there. Now you just have to choose your destination. Travel light, travel far. It’s the best way to go.